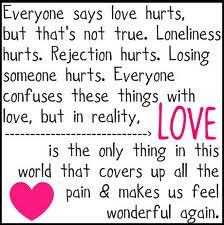 When love hurts there is no pain like it. 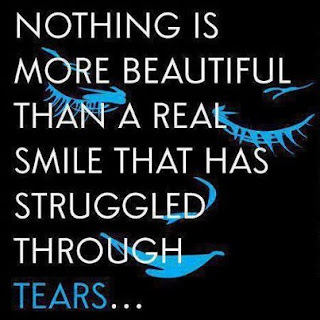 We all feel hurt from time to time, choked up , tearful and sometimes confused. People let us down, surprise us with their actions and or inactions and disappoint. When this happens to us it is a warning that something is not right, our relationship, work situation or friendship. Honest communication with the other person is always a good step. Try and find out what happened, is there something you are not aware of. Try to get to the bottom of it so you can understand. If other people’s behaviour towards you continues to hurt then ask yourself whether the relationship or situation is a worth fighting for. Sometimes its better to walk away with your head held high. If you don’t then perhaps you are you allowing yourself to be hurt by others in some way. Lets look at that in more detail. In what ways are you hurting? Feeling hurt takes energy that could be used for other things. Try talking it through with someone you trust. Perhaps being more assertive about your own needs and opinions will help. Acknowledge all the reasons you are hurting – you have a right to your thoughts and feelings and you do not need to suffer unnecessarily. There is nothing more painful than a broken heart. When the person you love lets you down in some way it can feel so so raw especially if you weren’t expecting it. As a therapist I often work with people who are feeling the shock and pain of a broken romance and I explain to them that the symptoms will be the same as a bereavement with the only difference being that the person you are grieving for is still alive. In some ways this can feel worse because it also brings up feelings of rejection and self-doubt. If you have been let down in love it is understandable that you will feel hurt and the process of recovery can take time. I will write more about the process of loss in another blog so watch this space – but in the meantime if you are looking for support then please contact me for a handout which i’m happy to provide. Forgiveness: How do you forgive someone that has hurt you? This is EXACTLY how I feel. I’ve said out loud, the exact same words you wrote. Grieving for someone that is living is perhaps more painful than it is when someone has passed. And I just can’t get past it. It’s been months and it still makes me cry. I cried about it earlier this morning actually! So what do you do? How do you let go of the love and the hurt in order to move forward and be happy again? It’s killing me. Literally. My depression has made me dysfunctional. And I forgive him. I just want answers. I just want an apology. So I know I wasn’t irrelevant.